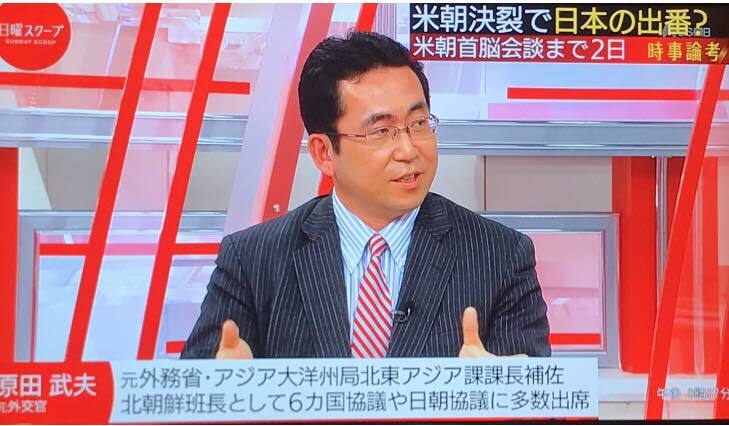 Takeo HARADA talked on the coming US – DPRK summit live on “Sunday Scoop” a TV program on BS ASAHI network. As a former career diplomat, who has experienced hands-on negotiation with DPRK back in 2004, he commented on the current situation and the new order in East Asia beyond June 12th. Copyright ©　2007-2015 Institute for International Strategy and Information Analysis, Inc. All Rights Reserved.